How to buy a used piano. If you’re just starting out to learn piano, you may want to consider these six questions to ask the eager seller, before making a decision. Purchasing a new piano be quite an expensive investment. Used pianos, on the other hand, can be found in great shape and at bargain prices - that is, IF you know what to look for, and what questions to ask. Not all used pianos are the same - while there are some gems out there, many are in need of much repair or parts replacement, in addition to mandatory refurbishment. Knowing the right questions to ask, and the right things to look for can help you to determine whether this piano is worth every penny you are paying for it, or not. First, be sure to print out How to Buy a Used Piano - A Comprehensive Checklist -- Click Here before proceeding. In this blog post we'll go over 6 things to ask and look for when shopping for a used piano. Armed with this information, you should be able to locate a great buy, on an excellent used piano. 1 – "What is your reason for selling the piano?" Are they buying a new piano? If so, what do they dislike about the one they’re selling... which most hope to resolve with a new model. If the current owners are giving you a reply such as, “It just takes up too much space” or “We could use the money” be aware that proper maintenance may not be have been the case over the years. This can only cost you more money, during the years to come. If a registered piano tuner / technician worked on the instrument frequently this is a good sign that they took care of the piano. If they say a friend did the maintenance, be aware, this person could have made mistakes that could cause a few issues down the road. If the owner(s) didn’t have the piano maintained, then this is a sure sign of troubles that are sure to come out later. 3 – "How frequently was the piano serviced and tuned?" If you’re considering buying a used piano (or even a new piano) which is currently out of tune, we suggest: Don’t buy it, or rather, buy at your own risk. Why is this the case? Pianos should be tuned twice per year. Even if the piano hasn't been played, the soundboard and pinblock has constantly been exposed to changes in humidity, temperature, and the weather, which causes ALL pianos to go out of tune. If a piano hasn't been maintained properly, it most always results in higher bills later on, as cost issues can arise, later. To illustrate: Would you buy a car whose owner had the oil changed “every so often”, say, once every few years? Certainly not! Then why should a piano, which houses over 9,000 parts, 200 strings, and a delicate soundboard -- lasting 4-5x longer than ANY automobile, deserve any less? Another point of caution: If the piano isn’t in tune when you first see it, there may be an underlying issue that might require repair AFTER you purchase it. Aside from any reasons - or excuses - the owner may give, a neglected piano can beget even more problems, servicing issues, and repairs later on in its life. 4 – "Was the piano played very much?" By knowing how frequently a piano was used you can gauge how often it should have been tuned. A piano that is just kept around as a decoration can get away with being tuned only once per year, pending the environment is right. 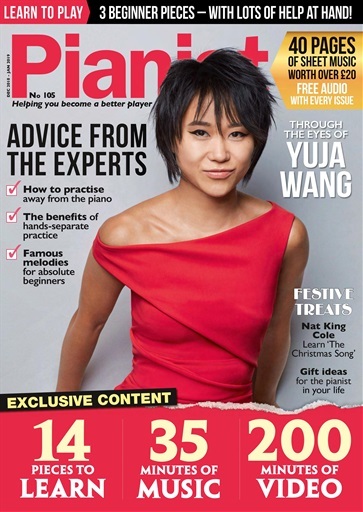 If the piano was played frequently, than 2-4 times each year is a good rule. 5 – "How and where was the piano stored?" 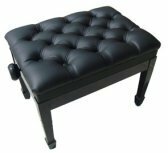 Temperature and humidity are the two key factors to a piano’s longevity and ‘best kept environment’. At the upper end, 55% humidity (42% would be ideal) and about 22 degrees celsius (or 72 degrees fahrenheit) is the max for a piano to be stored in. Storage facilities, garages, basements, backyards, rooms with sunlight, vents, doors and windows near the piano, are terrible places for pianos to be stored. Moisture causes wood to expand and warp, keys to stick, and action parts to become tight (e.g. more sticky key problems). If the piano has been stored in a garage without adequate weather stripping and / or protection from the elements...bad idea.... Keep moving. 6 – "Has the piano been moved before? If so, how many times?" Frequent moving of a piano can result in damage to the instrument, whether it would be banging into walls and stair cases, or having to remove pieces (eg the legs) to get it to fit through tight door ways. Take notice of the location where the piano is now. Are there any tight corners or door ways the piano may have had to move through to get into the room? These tight squeezes might mean a bigger bill for moving the piano if you choose to buy it. Be sure to ask each of these questions of any potential seller (and mover) before you buy a used piano. Any one of these items could be a deal breaker - or could help uncover a great deal on a piano that needs just a bit of TLC. 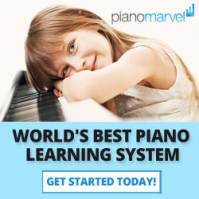 What should you do if you’re just learning or haven’t started to learn to play the piano yet? A couple of quick tips, and you could get yourself started in no time. 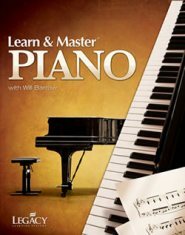 Consider this Piano DVD, which can teach you how to play some chords and scales and to test out a piano when shopping. 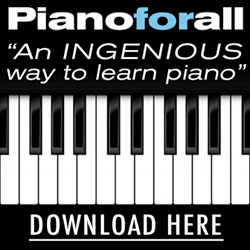 Some of the best piano lessons for beginners are taught via online videos or DVD lessons. Another option is to take a friend who can already play the piano. Oftentimes, an experienced pianist has played several instruments and can spot things you might not hear or see as a newbie. Last but not least, hire an experienced piano technician to help you with the used piano's inspection. The technician's years (decades, in some cases) of knowledge and experience is indispensable and is 'inexpensive insurance' against buying an otherwise defective instrument. Did you print out the Used Piano Checklist yet? Good. Now you may go shopping. Have a question? Contact Us and let us know how we can assist.